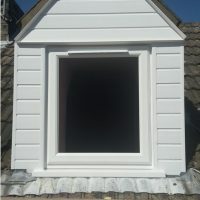 We offer a wide range of roofing services; if you are looking for a professional roofing company in Suffolk, competitively priced with a trusted reputation please do not hesitate to contact us. Please see below a list of the services that we offer. We have been installing high quality front doors, back doors, patio doors, conservatory doors and more for many years. 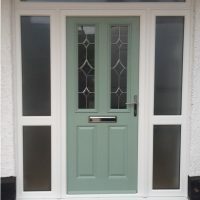 We have a range of materials, glass and styles to build the door that is right for you. Contact us today to find out more about the different style options available. We offer FREE estimates and operate in Lowestoft and the surrounding areas. Here at JW Roofing Services we are able to supply and install windows to your exact requirements. We have a range of products and styles to fit your existing features. We offer Double Glazing, Bay Windows, Sash Windows and more. Please do not hesitate to contact us to arrange a FREE, no obligation estimate. Based in Lowestoft we can offer roofing and cladding services to the East Anglia region and beyond. We install and maintain all types of roofing and cladding systems for domestic and commercial. We can provide you with a full quotation and the work is delivered in a quality and professional manner. We also offer other roofing services, so please do not hesitate to contact us to find out more or to book a FREE estimate. Whether you need gutters repairing due to a leak or new fascias & soffits to improve the look of your home, JW Roofing would be happy to help. We can install a wide range of UPVC fascias and soffits in many styles and colours to fit in with the style of your home. Our fascias and soffits are designed to blend in with existing architecture as not to ruin the look and feel of your home. Our preferred facia material is freefoam. 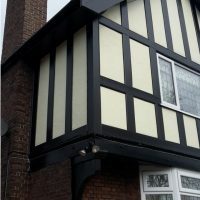 Freefoam offers a 50 year Lifetime Guarantee and freefoam products are designed to stand the test of time in all weathers and are 100% lead-free. For a competitive and FREE estimate please contact us today. We deal in all aspects of domestic guttering including; cleaning, repairs and replacement. 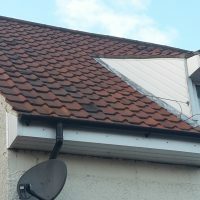 Blocked gutters can lead to damp or structural problems so please contact us if your gutters are blocked with leaves or other bits of dirt and debris. 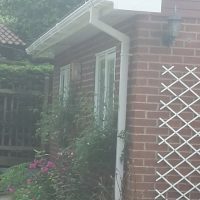 Our guttering is installed using weather-resistant, durable and environmentally responsible materials. We provide ALL aspects of roofing services including; roofing installations, flat roof repairs, insurance work, gutter repairs, facias and soffits. We are also a Firestone licensed contractor. 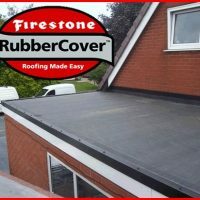 Firestone RubberCover EPDM Roofing System is the ideal solution for small residential flat roofs and other extensions. We can replace broken tiles, repair roofs or replace the entire roof. We pride ourselves in offering a highly competitive and efficient roofing service in the East Anglia area, so please do not hesitate to contact us today for a FREE estimate. Please use the contact form below to contact us or alternatively call 01502 560969 or 07545640891.